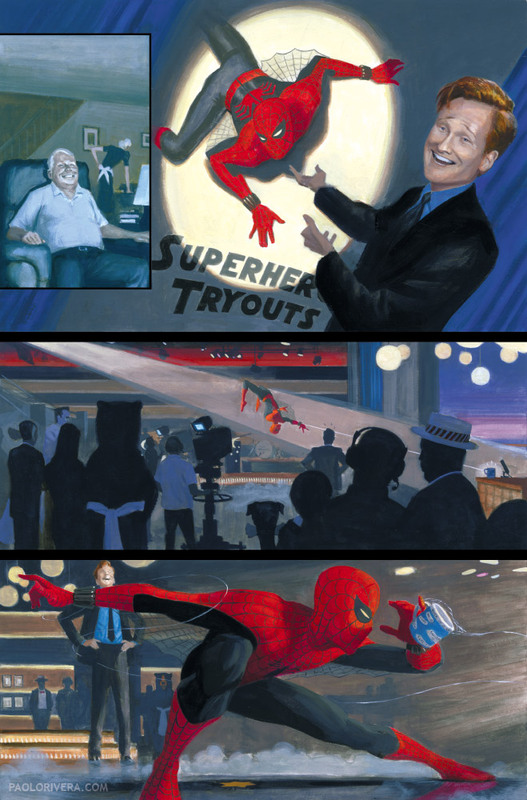 Mythos: Spider-Man, Page 11. Acryla Gouache on bristol board, 11 x 17". Some of you may remember—way back in the NBC days—when Conan kindly let us use his likeness in our retelling of Amazing Fantasy #15. 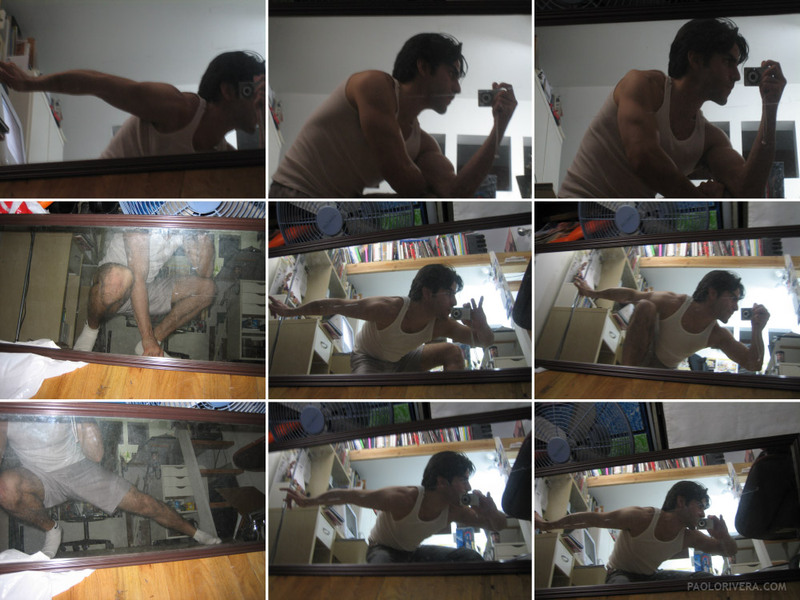 For Spidey's pose at the bottom, I took a series of photos of my own reflection and pieced my favorites together in order to get the gesture I wanted. The spotlight effect was a product of my imagination, but having the photo reference provided the foundation on which to project. Because I couldn't see the camera screen, the first few pics were taken to ensure a decent composition. 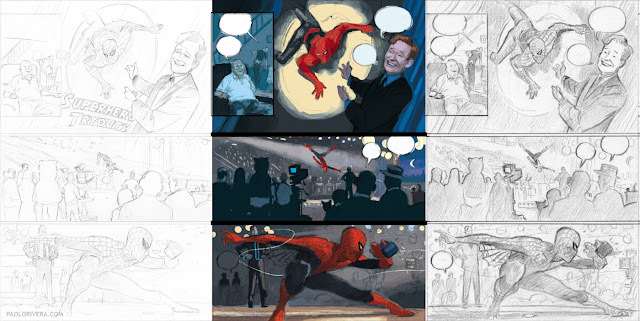 Pencils, Digital Color Study, and Layout, pencil on paper, 4 x 6". Still jealous you got to meet that guy. Do you still have the video of you guys presenting your mural on the show? You ought to post that.